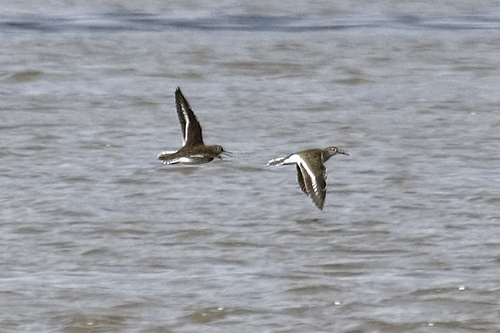 The Sandpiper is a rare breeding bird in western Europe. Especially in autumn this migratory bird from Scandinavia may be seen. 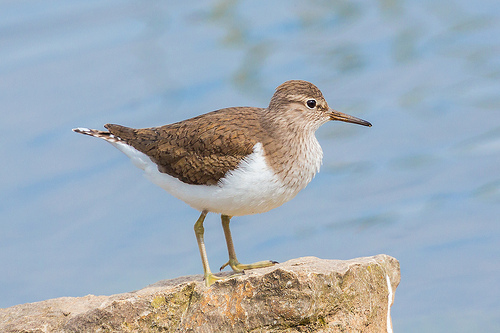 The Common Sandpiper has a white chest and belly and a prominent white spot on the flanks. The Redshank has a red beak and red legs.